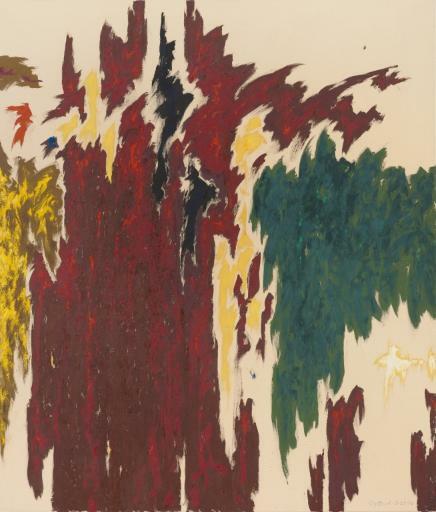 Clyfford Still, PH-1007, 1976. Oil on canvas, 92 x 78 1/2 inches (233.7 x 199.4 cm). Clyfford Still Museum, Denver, CO.
Jaques, Susan. A Love for the Beautiful: Discovering America's Hidden Art Museums. Guilford, Connecticut: Globe Pequot Press, 2012. Sobel, Dean and David Anfam. Clyfford Still: The Artist's Museum. New York: Skira Rizzoli, 2012.; cited in Sobel, Dean. "Why a Clyfford Still Museum?" In Clyfford Still: The Artist's Museum, 15–54. New York: Skira Rizzoli, 2012, p. 30.